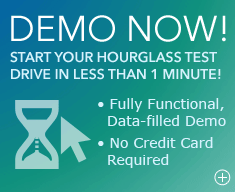 HourGlass is a 100% web-based time & expense tracking and project management service for companies who bill on a time and materials basis. As a web-based service, companies pay to access their data and the application online. 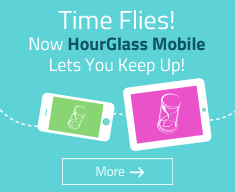 There is no software to download, ship or install; everything associated with HourGlass is available anywhere the Internet is accessible. There are two 'ends' to HourGlass. Most users will use the 'front-end' which contains all functionality regular employees will need to provide detailed tracking of their time, report expenses, view their tasks and deadlines, and report when tasks are completed. Then there's the 'back-end' which is used by Administrators to manage the data, create projects, define tasks, assign responsibilities and deadlines, and generate reports.